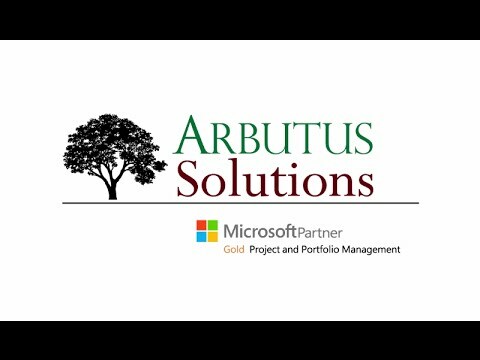 Arbutus Solutions is focused on delivering business improvements related to Enterprise Project & Portfolio Management (EPM). Our staff are experienced veterans who take pride in finding the process and supporting technology to help achieve your desired EPM maturity. As a Microsoft Gold Partner in project and portfolio management, we have been recognized as “Partner of the Year – Enterprise Portfolio and Project Management” at the Microsoft IMPACT Awards. Learn about some of our recent success stories here. It’s our goal to help you achieve your desired project management maturity. That’s why our approach hinges on working with you to integrate processes with technology to provide the desired business values and operational efficiencies. Arbutus Solutions can assist your organization in setting up a Project Management Office that will provide consistent oversight and governance for your organization’s projects. From inception, we offer consultations with seasoned experts to design processes using a continuous improvement methodology to achieve your desired level of project management maturity. We believe in providing a healthy work-life balance and a flexible work environment. Our employees have built micro-communities across Canada, each bringing a unique perspective to the collaborative environment of our business. Arbutus Solutions is a results-focused company committed to exceeding customer satisfaction on every project. Our entrepreneurial culture provides staff with the support to think creatively and celebrate the success of innovative solutions.